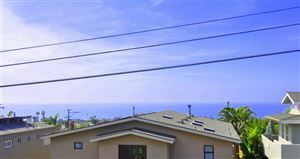 Cardiff homes are located between Encinitas and Solana Beach in San Diego County, CA. Cardiff operates as part of the city of Encinitas but retains its own zip code. Residents of Cardiff homes share the popular surfing spot Swamis with Encinitas, but Cardiff homes residents have their own spot as well, Cardiff Reef, located at the mouth of San Elijo lagoon, which is one of the most popular surfing spots in San Diego County, made famous by its consistent wave shape. At low tide, a flat rock reef is exposed that extends 50 yards from shore, which makes for a popular tourist attraction, along with Cardiff’s 2.6 miles of pristine beachfront, and the 900 acre San Elijo Lagoon Ecological Reserve, located to the south. The community is proud of its foot traffic accessibility, as the beach, post office, library, restaurants, and markets are within walking distance. Restaurants offer beach side dining and a wide selection of cultural dishes, with an emphasis on seafood. Cardiff residents utilize the Encinitas school district, as Cardiff is considered part of Encinitas, however it has two of its own elementary schools. Some noteworthy current residents include: Rob Machado, Jon Foreman, and Lyn-Z Adams Hawkins.